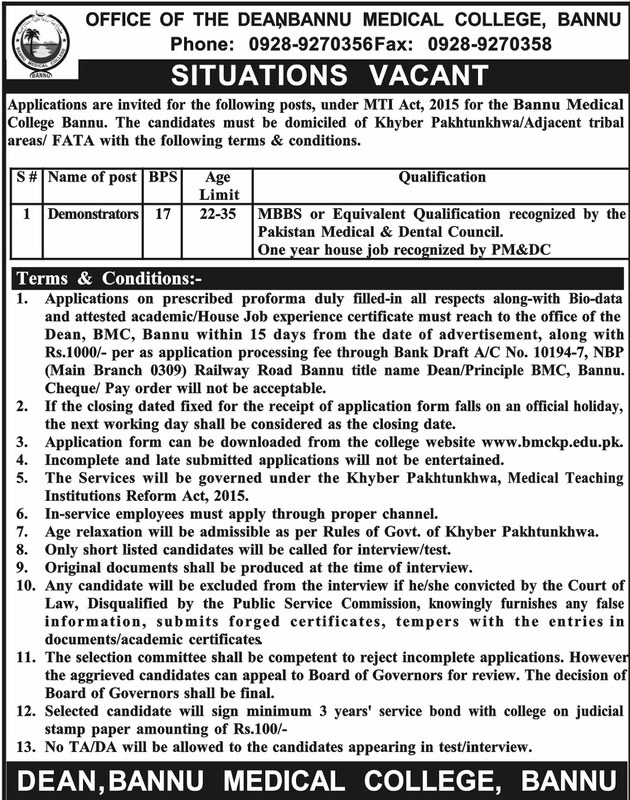 Below are the complete details of the Demonstrator jobs in Bannu Medical College in Bannu. Skills Required for Job: Having Good Communication Skills. Good Team Working Skills. Having Good Communication Skills. Good Team Working Skills. 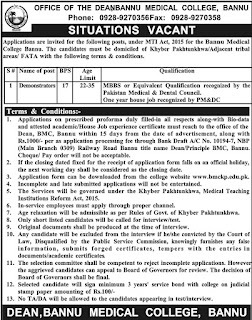 Qualification: Bannu Medical College Bannu Jobs For Demonstrator. Required Qualification: MBBS or Equivalent Qualification Recognized by the PMDC. Age Limit: Minimum 22 Years or Maximum 35 Years. Attractive Salary Package. Last Date for Submission of Application With in 15 Days. Demonstrator jobs in Bannu Medical College Bannu, in Pakistan published on Paperpk.com from newspaper on December 25,2018. Job seekers who are already working as can also apply for post of Demonstrator.